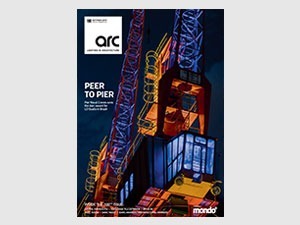 Yes, we wave goodbye to a dear old friend, mondo*arc, and say a big ‘Hello!’ to our new best buddy arc, the international publication for lighting in architecture. Apart from a name change and a redesign, everything else remains the same. Following feedback from you, our readers, we have kept the inspirational project articles and top designer profiles along with the latest lighting technology insights. It’s been a long journey and, initially a steep learning curve. I’m the first to admit that when we started we didn’t know our Artemides from our Erco’s and Speirs + Major was the only lighting design practice we were really familiar with due to their work in the entertainment sector from where we came (mondo*arc began life as a supplement to mondo*dr magazine, our publication for technology in entertainment). 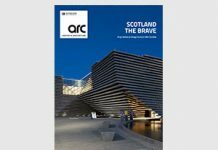 It was through the encouragement of key players in the profession such as Jonathan Speirs that we persevered and have now reached our 100th issue with two awards programmes and an exhibition under our belts. The reason for the name change is a strategic one. 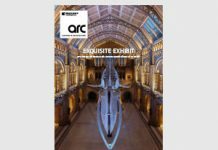 With our sister title, darc, for decorative lighting in architecture, and our events division featuring the darc room exhibition, darc thoughts conference, darc awards / architectural, darc awards / decorative and the darc night party, the arc brand is a natural fit into the (d)arc portfolio. Architectural and decorative lighting for specification is our focus and this was emphasised in our recent darc room exhibition that was part of London Design Festival. Featuring some great architectural and decorative lighting brands, as well as light installations and a fantastic darc thoughts design conference, darc room really wowed the crowd and even featured in Wired’s ‘Top 10 Must See Events’ at London Design Festival. Thank you to everyone that participated and visited. We’d love to do it again some time. Watch this space! 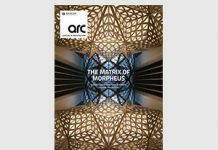 For now, enjoy the new look arc magazine and please give us your feedback. We hope you like it. With your support we would love to hit a double century.